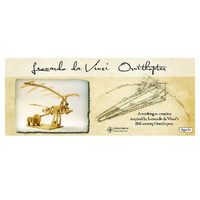 Da Vinci Ornithopter | Based on Da Vinci's original plans! Based on Da Vinci's original plans! Learn about Leonardo Da Vinci! 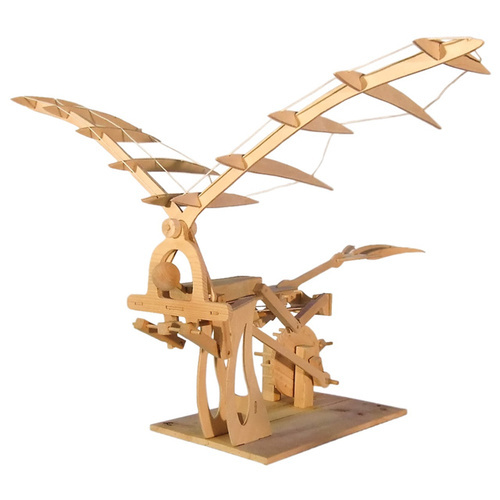 Put your skills to the test with this build-it-yourself working recreation of Leonardo Da Vinci's fifteenth century Ornithopter, inspired by the many drawings of flying machines that he sketched! Your fully-functional model is easy to make in about an hour for beginner model makers. 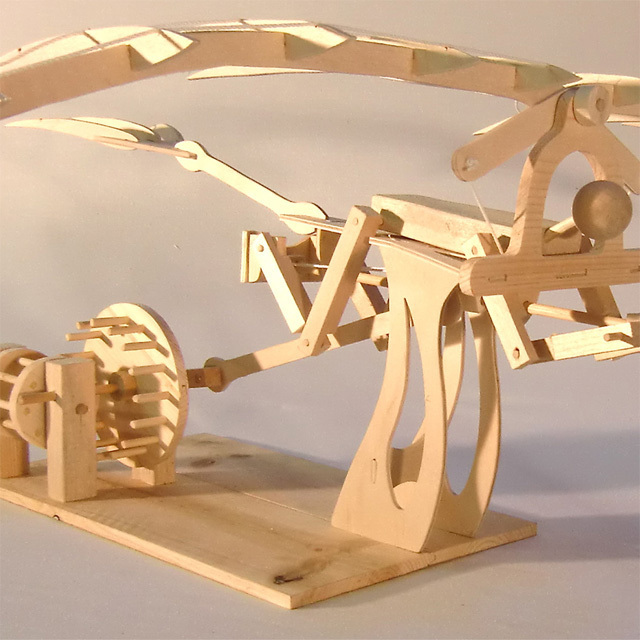 Using the gears that Da Vinci drew to make the machine move, the model includes a pilot with moving arms and legs! Made from natural wood for durability, all of the pieces are pre-cut and drilled ready for assembly. Simply follow the instructions to test out this ingenious design by using the crank to flap its wings! 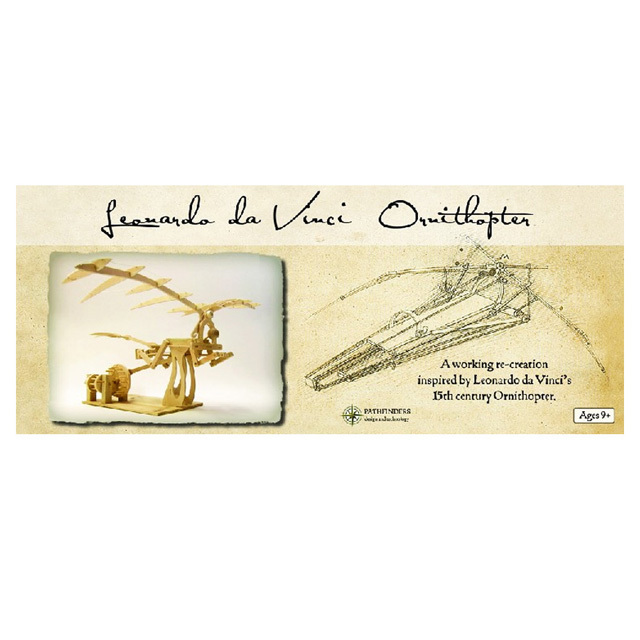 Measuring an impressive 59cm long, the Da Vinci Ornithopter is the perfect educational gift for hobbyists, model builders and school children. It's great for visual perception and hand-eye coordination! Your assembled flying machine can sit on its stand as a working model, or it can hung from the ceiling! Contains 45 pieces made up natural wood and plywood.